Cottage Cheese is the only cheese which is readily available in the Indian market and we enjoy it in all the forms. Lot of people also make masala paneer, mint paneer to add in more flavour to the cottage cheese. I make all these versions as well as the plain one at home and let me tell you the home made cottage cheese is any day better than the store bought. It’s creamier and softer. While I was making the cottage cheese in red pepper gravy, suddenly the thought propped in my mind that if only I can add veggies to the cottage cheese, how colourful and nutritious it would be. The thought kept lingering in my mind all these days and after I announced my event there was no looking back, I had to make the cottage cheese with the veggies. I tried this preparation as an experiment using a litre of milk and coloured bell peppers, to add more flavour to it I made it a little spicy too. The end result was a colourful looking cottage cheese which not only looked attractive but was very tasty. This version of cottage cheese can find a good deal of use in trying out many more recipes. One can eat the cheese as it is or use it in sandwiches or marinate it and roast them as tikkas or simple roast lightly in oil and eat with some chaat masala. I did the last version and I must say we enjoyed eating it, the cubes simply vanished fast from the plate. Since this was an experiment I do have to admit there were a few flaws which I will try to correct next time but for those who want to try this ..I did not cut the French beans very fine which should not be done and the amount of pepper to be added needs to be a little less that will help cheese bind more firmly and hence they can be cut into even sized cubes. If you are not so particular about the shape then you can add more. Sending this to my event ‘Only’ Original Recipes guest hosted by Nivedita. Bring milk to boil and add salt and white pepper. Chop the vegetables finely and mix it in the boiling milk. Squeeze the lemon juice in the milk to curdle it. Pour the curdled milk into a sieve and wash with cold water, this stops the cooking process. Put the cheese into a cottage cheese press, I have a round one. Let it set for half an hour. Roast it on all sides using a little oil in a pan. Sprinkle chaat masala over it and serve hot. Another view to the colourful cubes..
Thats so innovative and real colourful recipe,wonderfuL! Very nice recipe.. looks really tempting and colorful.. thanks for sharing !! Thanks Raji, Harichandana and Ila. I'm glad that you liked it. Sounds very interesting and looks fantastic !!! perfect color and tempting clicks !!! Looks colorful and tempting..great recipe..thanks for sharing! colourful cubes...surely kids will like it! Simple delicious and fabulous looking cheese cubes,beautiful clicks.. This is so innovative and delicious.. So good.. Indeed a treat for paneer lovers! very new to me. Looks colorful and yummy. WoW!!! innovative and intersting, looks yum!! beautiful presentation. looks wonderful... have to try! Thanks for the follow and I must say I feel proud to find such an innovative culinary genius! The dish above is so beautiful and delicious! that looks very interesting...and very good appetizer, colorful n yummy! Thanks for sending it to my event. Wonderful job done....I'm very inpressed by you. 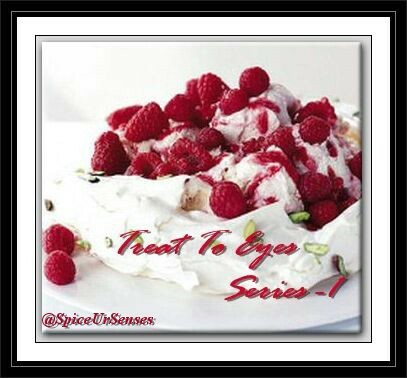 Great recipe..love the color..looks so tempting and yummy!! Innovative and interesting recipe...looks soo good!! Thats a fabulous and very creative cheese cubes,marvellous Pari..
That's so cool.They look so very pretty. Wow this is wonderful. I love it . Iam making it soon. Can u tell me where u got the cottage cheese press? I am loving all the colors! looks Tres tres jolie and very tempting! Congratulations on being a featured winner on "treat to your eyes"..the sabudana vada looks ready to eat ! your cheese cubes are in my kitchen now, with different dress up and shapes. wow!!! this is awesome. so pretty n healthy.